Discount parking near Hilton Times Square is available at the following Parking.com locations. Click on a parking location listed below to print a NYC parking coupon for a discount parking rate for any 6, 12, or 24 hours. Nearby attractions include: Broadway Theater District, Madame Tussaud's Wax Museum, Ripley's Believe It or Not!, Bryant Park, and Restaurant Row. 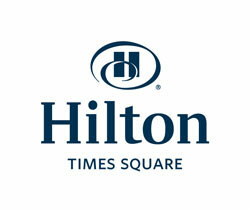 Hilton Times Square is offering Parking.com customers 10% off the best available rate, for a limited time only. Please call 1-800-HILTONS and request Plan Code CD to book this discounted offer.